Tickets are now available at walkon.ae. Gates for the event open at 2pm and the Walk begins at 5pm. Tickets are AED 10 to enter. Free entry for children under 16 years of age. 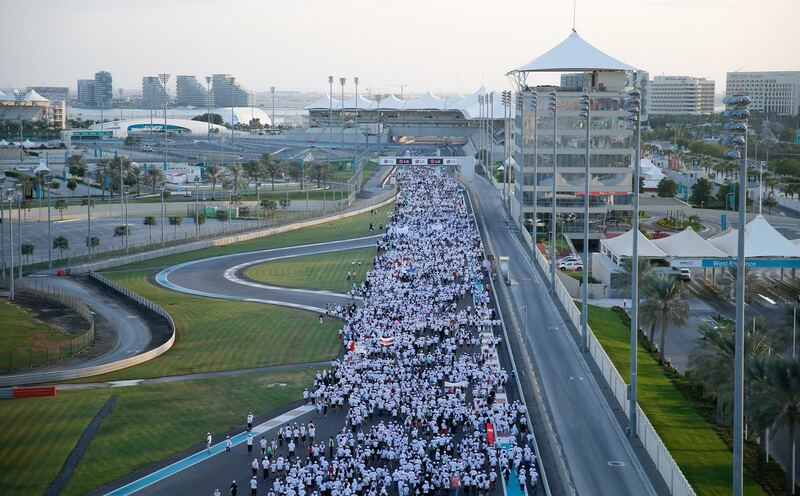 This will be the 10th Walk and promises to be bigger and better than ever as a family day out, with some light exercise outdoors at a refreshing time of year, offering a chance to come together and enjoy the iconic F1 Yas Marina Circuit. Like previous years, it promises fun for all of the community with a number of activities, events, competitions, celebrity participants and entertainers from across the Abu Dhabi community, set to be announced in the coming weeks with of course major events on the day itself! Each year on World Diabetes Day, Imperial College London Diabetes Centre, the one stop shop for diabetes treatment, research, training and public health awareness, hosts a 5km walk for thousands of people across the Emirate. This year marks the Centre’s 10th year of operations and the 10th Walk, a campaign to raise awareness of diabetes that affects nearly 1 in 5 people in the UAE.